PepsiCo (PEP) traces its roots back to 1898 when its original formulation was created by North Carolina pharmacist Caleb Bradham. PepsiCo was formed by the 1965 merger of Pepsi-Cola and snack food giant Frito-Lay (founded in 1932). Today, Pepsi boasts 22 iconic brands with more than $1 billion in annual sales, including Lay’s, Pepsi, Tropicana, Quaker Oats, Gatorade, Naked Juice, Aquafina, Lipton, Doritos, Tostitos, Mountain Dew, Ruffles, Cheetos, and Sierra Mist. ￼While the company is perhaps best known for its name brand sodas, carbonated beverages generate about 24% of revenue while just over half of Pepsi's sales are from high-margin snacks. The company's Frito-Lay and Quaker brands generate nearly half of total operating profits. By geography, about 60% of sales are derived from the U.S. and another roughly 20% from emerging markets. Pepsi is a very global business with operations in more than 200 countries and should benefit from growing consumer wealth and consumption around the world. However, North America still remains its most profitable region, accounting for approximately 70% of operating income. With 46 consecutive years of dividend increases, Pepsi is a dividend aristocrat and will become a dividend king in 2023. Pepsi’s primary competitive advantages are its large scale, balanced product portfolio, extensive distribution network, and well-known brands. As a result, according to Beverage Digest, collectively Pepsi and Coke (KO) control 50% of soda market share in the U.S.
More impressively, Pepsi has the largest food and beverage market share in four of its five top markets. Importantly, the company has also been the biggest contributor to retail sales growth in those markets over the last five years, underscoring the importance of its products for retailers. In fact, Pepsi's contribution to total food and beverage retail sales growth in the U.S. is more than the next 15 manufacturers combined. The company's Frito-Lay business alone reaches over 300,000 retail stores, making more than 500,000 deliveries each week. Pepsi is a critical partner for retailers because its products drive them the most traffic and profit growth of any food supplier. For example, 90% of Frito-Lay's sales are generated from brands that have #1 or #2 market share. Pepsi’s dual portfolio of snacks and beverages further strengthens its retailer relationships because over half of consumers who buy salty snacks buy liquid refreshment beverages in the same basket, according to analyst firm IRI. Selling both types of products allows customers to have one point of contact, creating efficiencies for retailers. The company’s breadth and depth of retailer relationships, coupled with its powerful brands, makes its overall portfolio practically impossible to be replaced by smaller rivals. As a matter of fact, Pepsi is about twice the size of the next largest supplier in the food and beverage market. According to management, the combination of marketing snacks and beverages together results in about $900 million in annual cost savings, thanks to both lower marketing spend as well as lower input prices (such as on packaging). Not surprisingly, Pepsi’s large scale allows it to enjoy economies of scale and invest aggressively in innovation and marketing to stay in touch with consumers’ evolving preferences. For example, Pepsi routinely spends around $4 billion on advertising and marketing (over 6% of sales) and pours more than $700 million into research and development each year (about 1% of sales). These investments help the firm continue maintaining and growing iconic product lines such as Gatorade, which has been around for more than 50 years. The amount of brand equity Pepsi has built up with consumers is nearly impossible to measure but is extremely valuable. For one thing, it has allowed the company to raise its prices by about 2% over the past year, helping to offset rising input costs. However, Pepsi's brand value doesn’t show up on the company’s balance sheet because it is an intangible asset (marketing costs are expensed each year, although they have arguably built a major asset for Pepsi). Pepsi, like many other consumer staples, also benefits because its products are in slow-moving industries that enjoy recurring consumer demand, resulting in stable earnings and market share. If a new consumer trend emerges, Pepsi has the financial firepower and distribution necessary to develop new relevant products itself or acquire new brands that could pose a longer-term threat. Even if Pepsi is a little late to adapt to new consumer preferences, its diversified portfolio and focus on huge markets help mitigate this risk. For example, the snack market is over $68 billion in the U.S. alone, and Pepsi only plays in about 15% of that category. Furthermore, the U.S. snack market is growing about 4% per year and driven the most by healthy snacks. Frito-Lay has seen its U.S. sales grow about 3% per year over the past three years, but thanks to strong cost cutting that's translated into a 6% annual growth in operating earnings for that business unit. The company's market share in U.S. snacks has increased 0.5% in the last three years, highlighting the power of Pepsi's brands and marketing. Similarly, around the world the snack category is growing nicely (projected 5% global growth) as people are snacking more on-the-go with their busy lifestyles (over 40% of food and beverages are purchased outside the home today versus 26% in 1970, according to Pepsi). Stepping back, the global foodservice market is roughly $700 billion in size, giving Pepsi less than a 10% market share. Demand for beverages and snacks is growing at a mid-single-digit pace, creating many opportunities for profitable expansion. Despite numerous opportunities for top-line growth, the company is focused on improving its cost structure as well. Continuous productivity initiatives help Pepsi generate higher margins, grow free cash flow, and increase its return on capital, making it all the more valuable for shareholders. The company announced significant cost-cutting initiatives in 2012 and 2014, targeting $2 billion in annual productivity savings by 2019. Pepsi has already reached $1 billion in savings, which has raised its operating margin by 200 basis points, and the remaining cost cuts should have a similar impact. Savings will be made possible by leveraging more global functions and capabilities, using more automation technology, and consolidating global spending. Pepsi's management, led by new CEO Ramon Laguarta who took over in October 2018, believes it can continue to cut costs by $1 billion annually going forward. This translates into roughly a 100-basis-point reduction in costs of goods sold and over time is expected to boost operating margins by about 100 basis points as well. However, there is only so much earnings growth that can be achieved from cost-cutting and operational efficiency. Pepsi's long-term growth ultimately depends on its continued success in shifting its product mix to evolve with changing consumer sentiment. In this case, the company must increase its focus on healthier foods and faster-growing drink segments. Pepsi has been investing significantly in what it refers to as "Guilt-Free" products, meaning low sodium snacks or drinks with 70 calories per serving or less. Currently 50% of the company's total sales consist of "Guilt-Free" products (up from 45% in 2017), and over 25% of revenue is comprised of "Everyday Nutrition" products such as grains, fruits, and vegetables, or protein, plus those that are naturally nutritious like water and unsweetened tea. These are products with positive nutritional value that consumers are demanding more of as they become increasingly health conscious. Pepsi is also focusing on remaining "on-trend" with its snack offerings and plans to reduce both sodium and saturated fats in its better for you or BFY offerings by 75% by 2025. In addition the company hopes to add even more vitamins and minerals to BFY products making them more attractive to health conscious consumers. Looking specifically at beverages, Pepsi's transformation initiatives have enjoyed success shifting its mix to faster-growing subcategories while providing more low and zero-sugar options. Thanks to the growth of non-carbonated beverages, Pepsi's sales mix of soda has fallen by more than 700 basis points since 2010, and today actual Pepsi-branded sodas represent only about 10% of total sales. As part of these mix shift efforts, in 2018 the company launched Bubly, a new flavored sparkling water with no artificial flavors, colors, or calories. According to Pepsi's outgoing CEO, that product has exceeded expectations and should surpass $100 million in sales in its first year. And in December 2018, Pepsi closed on its $3.2 billion acquisition of SodaStream. According to the firm's new CEO, this deal is part of the company's efforts to ensure that "PepsiCo is finding new ways to reach consumers beyond the bottle." That's because, as the company's CFO Hugh Johnston explained, the SodaStream purchase will open up an entirely new market for Pepsi, "We get to play in a business — home beverages — where we don't play." Even Frito-Lay chips are getting in on the healthier food action, with Pepsi creating natural and organic versions under its new "Simply" label. These lower fat, lower sodium, and natural ingredient formulations of classic Frito Lays products are now in Walmart, Target, Costco, Kroger, and Whole Foods. Initiatives like these represent not only Pepsi's attempts to increase its 16% market share in the U.S. snack foods market, but also compete in the global healthy foods market, which analyst firm Statista estimates will hit $812 billion in size by 2021. According to Allied Market Research, that number is going to get a lot bigger because the Asian component of the healthy food market is expected to grow at a double-digit annual pace through 2022. Pepsi wants its "Everyday Nutrition" business to outpace all other product segments and plans to put its enormous global supply, logistics, and marketing efforts behind this effort to win as much market share as it can. Results thus far are encouraging. For example, Pepsi's snack sales in emerging markets are growing about 10% per year, indicating that the firm is winning market share across the globe. The company is also capitalizing on the e-commerce trend and generates over $1 billion in retail sales online. Its e-commerce retail sales are growing over 50% in the U.S. while nearly doubling in China. In many cases, Pepsi's online share exceeds its offline share, and the company appears to be gaining online almost across the board. While overall penetration of online food and beverage shopping remains relatively low compared to other categories, Pepsi is ensuring it will remain a force no matter where its products need to be sold. Overall, Pepsi has strong competitive advantages thanks to its balanced portfolio of snacks and beverages, many years of powerful branding investments, critical importance to retailers, and focus on meeting consumers’ evolving preferences. Pepsi is far more than a beloved soda brand today and appears positioned to continue rewarding dividend growth investors for many years to come. The healthy living trend is usually the biggest risk that comes to mind when investors think about Pepsi’s business. Consumers are becoming more mindful of what they are putting in their bodies each day, and government regulations such as California’s soda tax seem to be gaining momentum, potentially serving as a catalyst. Carbonated soda is arguably the category that is under the most pressure, especially in North America. In fact, U.S. soda sales fell for a 13th consecutive year in 2017 to hit a 32-year low, according to Beverage Digest. Soda volumes are declining at approximately 2% per year, a trend that is expected to continue for the foreseeable future. Increasing soda taxes at the state and local level are going to serve as a further headwind for the company's growth in this business unit. Even with Pepsi's pricing power, analyst firm Statista expects that the company will only be able to grow its U.S. soda revenues by about 1% per year going forward. Fortunately for Pepsi, this category accounts for less than a quarter of the company’s total sales. By changing product packaging, pricing, and promotion (the three P’s of marketing), carbonated beverage manufacturers seem likely to remain a cash cow for now, albeit with little to no growth. Pepsi and other snack and beverage giants are doing their best to adapt their products to changing consumer preferences. From introducing new health and wellness brands to investing in more research and development to take out sugar, fat, and salt, meaningful efforts are underway. As Pepsi’s business mix continues evolving, the risk posed from soda should continue declining. Pepsi has seen especially strong growth in its teas, coffees, sports drinks, and water portfolio. However, the company will need to find the right balance between experimenting with new brands and products while not alienating its still large, core base of consumers who continue drinking soda and indulging on less healthy snacks. Diversifying into foods has helped Pepsi continue growing despite challenges in soda markets, but there are a number of challenges here, too. After all, Frito-Lay, the world's largest snack food company, is Pepsi's highest margin business by far. But consumer tastes are potentially shifting away from salty snacks as well. 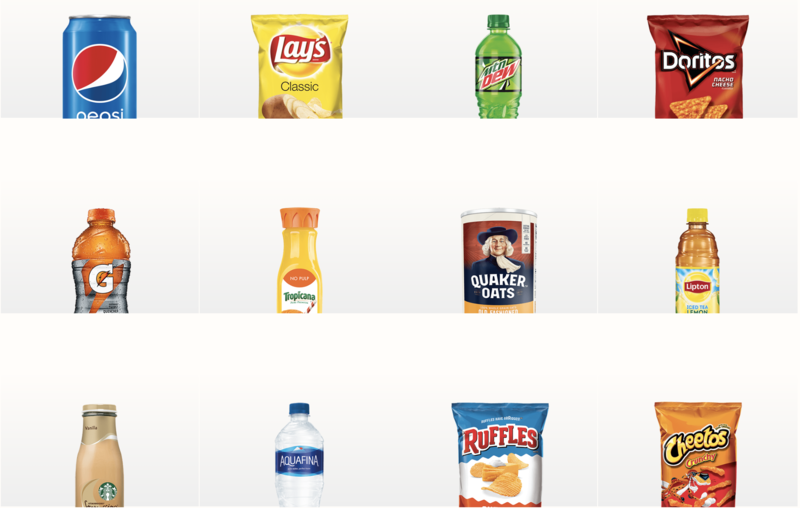 Frito-Lay North America's volumes have been relatively flat recently (about 0.5% volume growth in 2018), so Pepsi was only able to generate modest sales growth by increasing prices thanks to strong brand loyalty (3% sales growth in 2018). If volume growth remains difficult, the company could face increased pressure to launch more new products and potentially acquire faster-growing rivals to continue expanding its food business. The problem is that for a company of Pepsi's size, needle-moving purchases need to be large, increasing risk. The SodaStream purchase is an example of this. The company is paying a lot of money to enter an entirely new market, where it may not be able to necessarily grow sales and earnings quickly since SodaStream's home product lines do not naturally fit into the company's worldwide supply chain. Fortunately, as management explained, "SodaStream in a lot of ways is a unique asset" implying that the company doesn't plan to pursue a large number of transformational (and potentially expensive) acquisitions in the future. However, that comment was from outgoing CEO Indra Nooyi, who during her 12-year tenure as Pepsi mostly avoided big and splashy acquisitions. Only time will tell whether new CEO Ramon Laguarta continues the company's focus on smaller bolt-on acquisitions (of small but faster growing healthy brands), or decides to take Pepsi in a new (and potentially riskier) growth direction. Currency exchange rates are another risk to consider given Pepsi’s high mix of international business. When the U.S. dollar strengthens, Pepsi's reported sales and earnings figures to take a hit. Most recently, currency translation has been hurting the company's reported sales growth by about 2% per year. However, foreign currency exchange rate fluctuations shouldn't impact Pepsi’s long-term earnings potential. Finally, Pepsi, like all consumer staples companies, faces commodity price risk. Volatile input costs can potentially offset the company's ongoing cost-cutting efforts and hurt margins and earnings growth over the short term. In 2018, for example, Pepsi's biggest drag on North American beverage profitability was rising shipping costs, a trend created by a severe shortage of truckers that is expected to persist for at least the next few years. However, similar to currency risk, input cost fluctuations seem unlikely to challenge the company's long-term growth. Overall, given Pepsi’s balanced portfolio, global presence, and track record of adapting to the times, it’s hard to identify many risks that could really harm the business. Perhaps the biggest challenge facing management is the task of continuing to deliver solid earnings growth for a company as big as Pepsi. Unlike many large-cap consumer staples companies, Pepsi’s outlook for long-term earnings growth appears to be quite positive. While the consumer health trend should continue being watched, Pepsi’s diversified snack and beverages portfolio, more limited exposure to soda, investments in innovation, and exposure to international markets help mitigate these concerns. The company has paid uninterrupted dividends since 1965, including 46 consecutive years of payout increases, and shows no signs of slowing down anytime soon. While the food and beverage industry's growth challenges will be something that Pepsi's new CEO must address over the coming years, his 22 years of experience with the company, including running one of its fastest growing divisions (Europe/Africa), bodes well for Pepsi remaining a dependable long-term dividend growth stock for conservative income growth portfolios.